A senior state transportation official was fired in March after allowing an unlicensed pilot to fly state helicopters multiple times over the course of nearly 10 years, according to a newly published report from the state’s top watchdog. The report from Executive Inspector General Maggie Hickey’s office states that Steve Young, former head of the Illinois Department of Transportation’s Aeronautics Division, violated departmental policy by permitting an aircraft maintenance official to handle the controls of IDOT helicopters. The maintenance official, Robert Thorpe, logged nearly 900 hours piloting IDOT helicopters prior to obtaining his helicopter pilot’s certificate in 2013, according to the report. The EIG's office completed a 15-month investigation into the matter earlier this year after receiving a complaint in November 2015 that Thorpe had been flying state helicopters, though his job did not involve flight responsibilities. Thorpe left IDOT two days after the EIG’s office received the complaint. In response to the investigation, IDOT fired Young on March 17, according to an IDOT letter included in the report. Young had been Thorpe’s supervisor from 2004 until Thorpe left the department. Another IDOT official, former Executive Chief Pilot Keith Spaniol, resigned March 31 after investigators found that he, Young and Thorpe conducted non-state business during working hours by flying a state-owned airplane from Springfield to Urbana in September 2015 to test a new helicopter flight simulator at the headquarters of aviation manufacturer Frasca International. The trips took place more than two months after Gov. Bruce Rauner grounded all passenger services for state-owned airplanes because of the state’s financial crisis. During the probe, investigators interviewed current and former IDOT officials, supervisors at the Federal Aviation Administration and employees from Frasca’s Urbana office. They also reviewed IDOT flight records and timesheets, FAA records and a spreadsheet where Thorpe logged flight training hours. 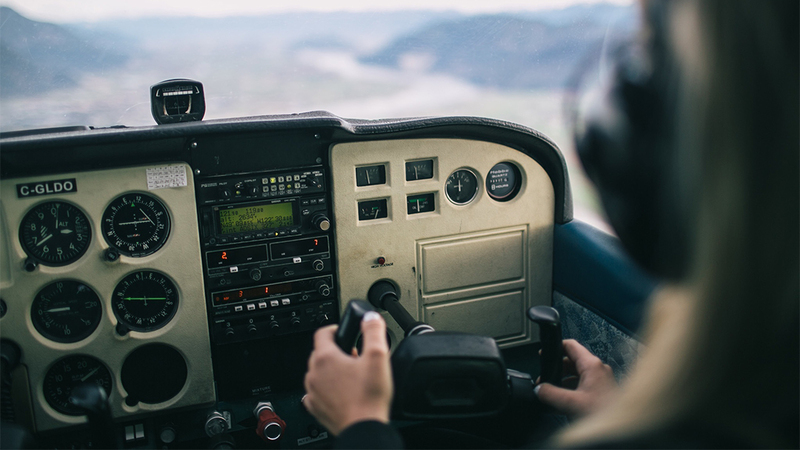 The investigation revealed a “general practice of allowing unlicensed pilots to handle the controls of state aircraft” in the Aeronautics Division under Young’s management, according to the report. The division provides air transportation for state employees, conducts search-and-rescue operations and chairs the state’s task force on drones, among other activities. The report describes an incident in 2007 when Thorpe was trying to land an IDOT helicopter and its tail struck the ground, causing minor damage. Following the incident, Young did not discipline Thorpe or Spaniol, who was also in the helicopter, or direct Spaniol to stop allowing Thorpe to take controls of IDOT helicopters, the report states. Thorpe said Spaniol was the pilot-in-command during the flight, but said he had his hands on the controls when the helicopter tail touched the ground. Thorpe acknowledged that the incident occurred before he obtained his helicopter pilot’s license in 2013. Young, who was hired in 2002 as IDOT’s Bureau Chief of Air Operations and had been interim director of IDOT’s Aeronautics Division since early 2015, told investigators that he was unaware of any occasions when Thorpe flew a state helicopter as either pilot-in-command or as the sole manipulator of the controls. But he said that on multiple occasions, he allowed Thorpe to handle the controls of helicopters while Young was also on the controls. Spaniol told investigators he allowed Thorpe to take the controls of an IDOT helicopter on two flights, including the 2007 incident described in the report. He said allowing uncertified personnel to fly aircraft was an accepted practice at IDOT’s Bureau of Air Operations, according to the report, but also said “it was wrong of him” to allow Thorpe to take control of the helicopter on multiple occasions. The practice of pilots allowing unlicensed employees to operate helicopters was “completely inappropriate,” former IDOT Deputy Secretary Christine Reed said during an interview with investigators. Reed, who oversaw IDOT’s day-to-day operations from January-November 2015, said she was unaware of the practice at the time. Details of the probe into IDOT come after six IDOT employees were fired and another eight were disciplined in 2016 as a result of a separate EIG investigation, which found that IDOT Emergency Traffic Patrol drivers had filed hundreds of false reports about helping stranded motorists. After leaving IDOT in 2015, Thorpe took a job as a helicopter pilot with Jimmy John’s, the sandwich shop company. He resigned the following month, after the company raised questions about his flight experience, according to company records subpoenaed by investigators and cited in the EIG’s report. FAA spokesperson Elizabeth Cory told Chicago Tonight that no action has been taken on Thorpe’s helicopter pilot’s certificate, which remains active. On Feb. 14, in response to the investigation, IDOT placed Thorpe on a “Do Not Rehire List,” according to a letter to the EIG’s office from Bruce Harmening, chief of IDOT’s Bureau of Investigations and Compliance in the Office of Finance and Administration. Harmening said that after the investigation, IDOT reviewed its policies that prohibit unlicensed individuals from handling state aircraft. He said IDOT determined the policies “sufficiently prohibit this conduct,” but said IDOT will provide training to “appropriate personnel regarding this issue and expect strict adherence” to the policies. June 19: If a budget isn’t in place by July 1, the Illinois Department of Transportation says all contractors must stop any roadwork. What this may mean for your morning commute. April 21: Crash data for 2015 released this week by the Illinois Department of Transportation shows a rise in the number of reported “doorings” in Chicago – collisions that occur when the door of a parked vehicle is opened directly in the path of an oncoming cyclist. Dec. 21: The city of Chicago wants your feedback on new streetlights. That and other infrastructure projects with Rebekah Scheinfeld, the head of the city’s transportation department.